Do you want a taste of Christmas? Do you want to immerse yourself in the magic of New Year celebrations? Nothing better than a trip to the Christmas market then! Each alley in which I wandered took me back further into childhood. Do you want to live an unusual Wednesday with your grandchildren? That’s could be the opportunity to discover these fantastic markets… And good news, there are many in Paris! It is worth a visit with its hundred of chalets in wood that extend from the roundabout of the Champs Elysees to the Place de la Concorde. 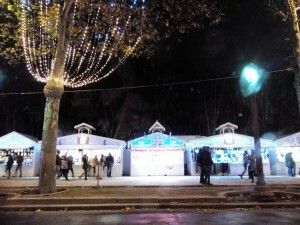 You can find there many crafts products and French gastronomic specialties. But the real bonus is still the Christmas lights on the Champs Elysées which are breathtaking! No matter how many times we have seen them, we keep being marvelled. It is devoted to arts and craftworks. 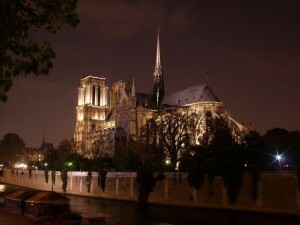 It takes place on the quai Montebello and the Viviani square, close to the Notre Dame Cathedrale. The surrounding is magical indeed; it is a true enchantment for both kids and grown-ups! One can find here Christmas products from all over France and the world. An exotic stroll indeed ! I don’t know what you think, but as for me, I run grab a delicious hot wine, that’s my guilty pleasure during those cold days! And what about you? Which one is your favorite market?